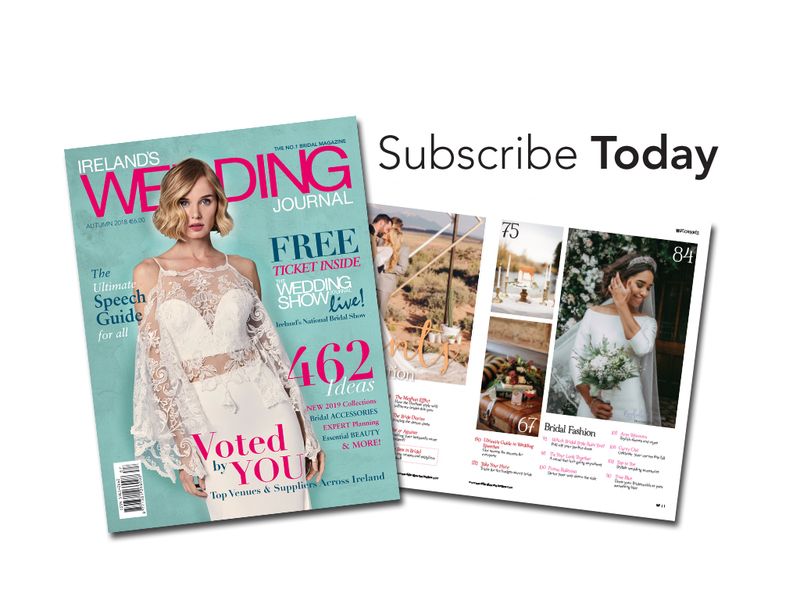 We join Edel and Shane as they talk us through their big day. 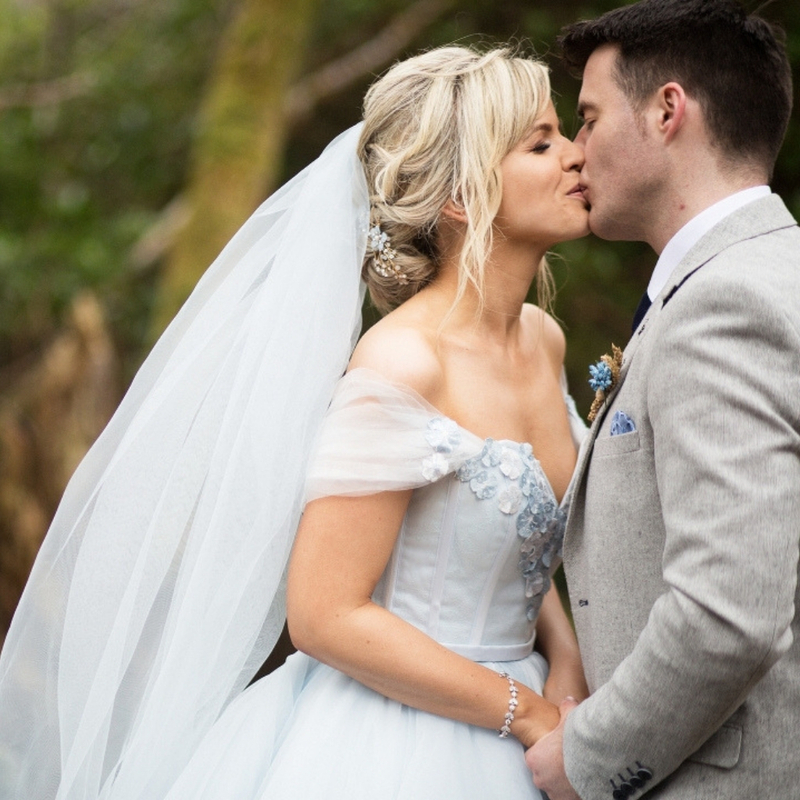 Edel Golden and Shane Healy met when they were 15 years old but didn’t start to date until they were 20. 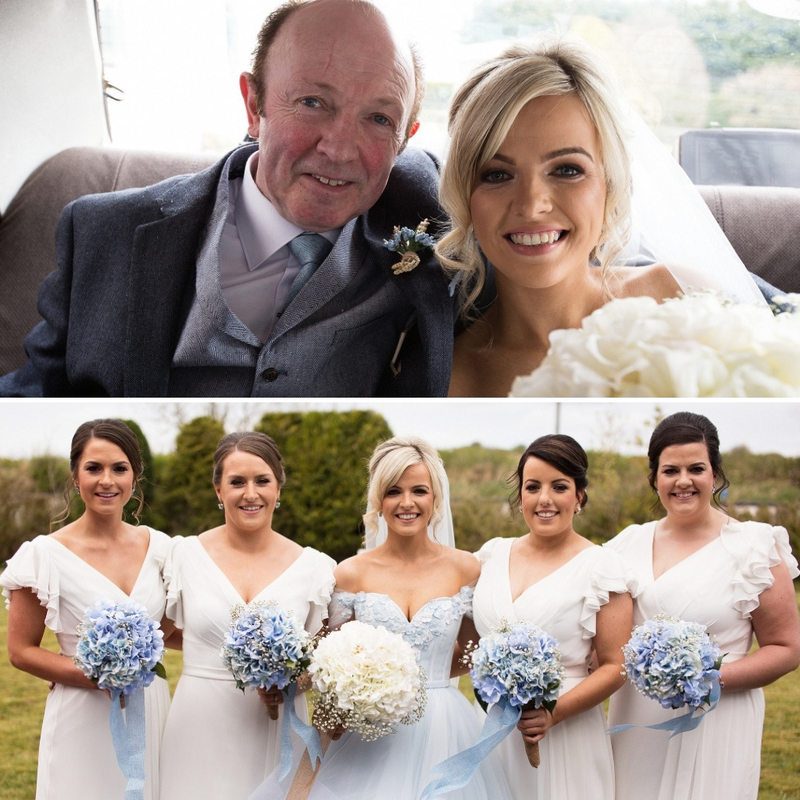 Their best friends, groomsman Daniel Kelly and bridesmaid Sharon Hughes were also dating from the age of 18 and wanted them to pair up for double dates! In August 2008, Edel and Shane attended Healyfest, a local music festival, and this is where they got together, much to their friends’ delight! 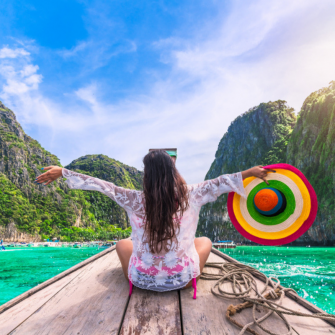 They decided to keep it relaxed as Edel was to go on college exchange for six months in Chicago but they ended up speaking every day on Skype during her time away. Shane and Edel planned a weekend away to London at the end of September 2016. Being a huge fan of the Harry Potter movies, a visit to the Harry Potter Studios was definitely on the cards! As they neared the end of the tour, Shane asked someone to take a picture in front of Platform 9 and ¾ but little did Edel know, they were actually videoing as Shane got down on one knee to propose. 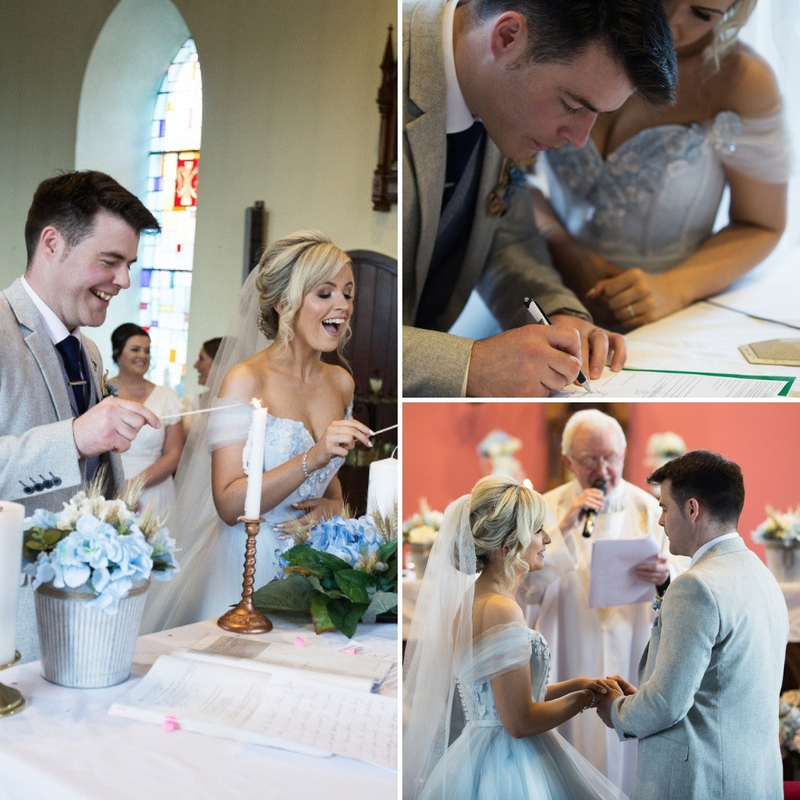 During the exchanging of vows, nerves got the better of Edel and she put the ring onto Shane’s right finger and couldn’t understand why it wouldn’t fit! 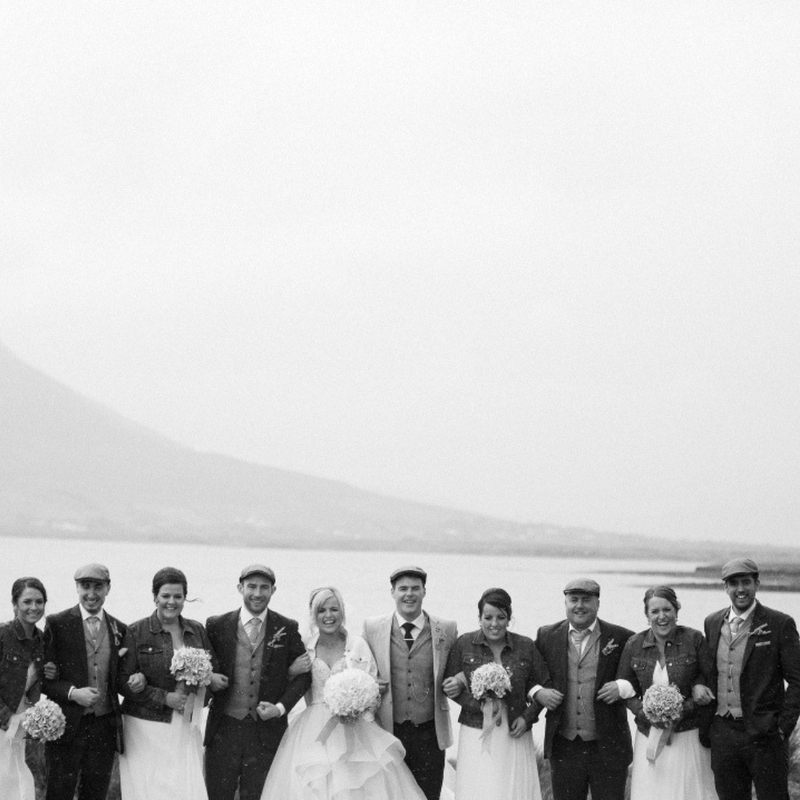 Their photographer was Shaun Doherty, Shane’s best friend. They lived together in college and Shaun’s laptop is where the couple Skyped from! 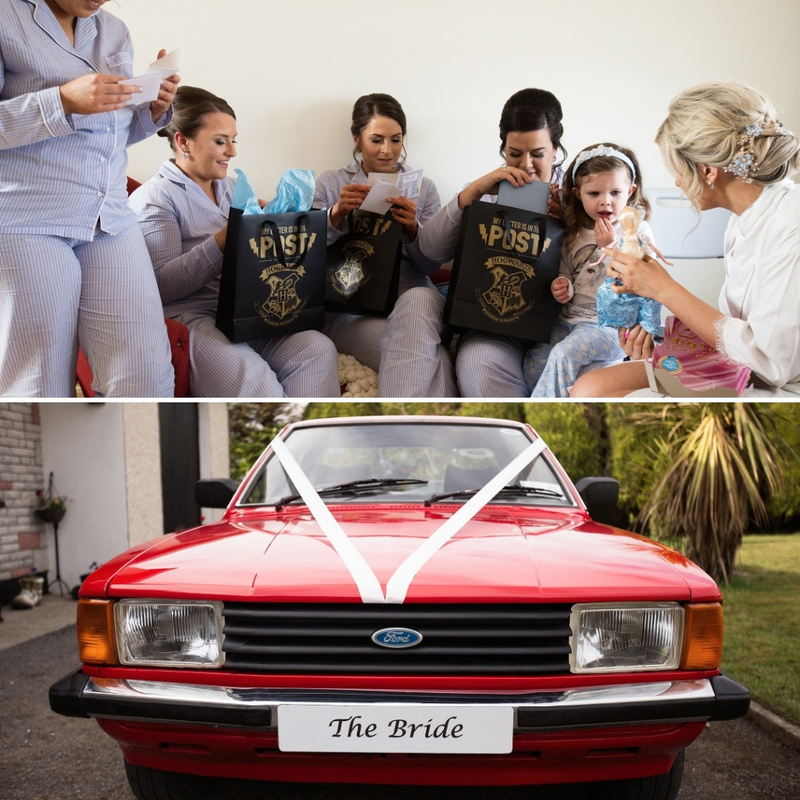 Edel’s knew exactly what she wanted after working part time between the ages of sixteen and twenty in a wedding dress shop. She always wanted a pale blue wedding dress, because they were the colour brides wore before Queen Victoria made white popular in 1840. Also, because Edel works in the museum sector, this idea appealed to her more and more. Even though she knew what she wanted, Edel visited a lot shops and tried on amazing dresses but she still wanted the blue dress. Eventually, she found the dress she wanted online, and Rock the Frock in Essex stocked one in pink. Taking a risky step, Edel ordered the dress in pink and sent the designer the swatch of blue material she wanted. 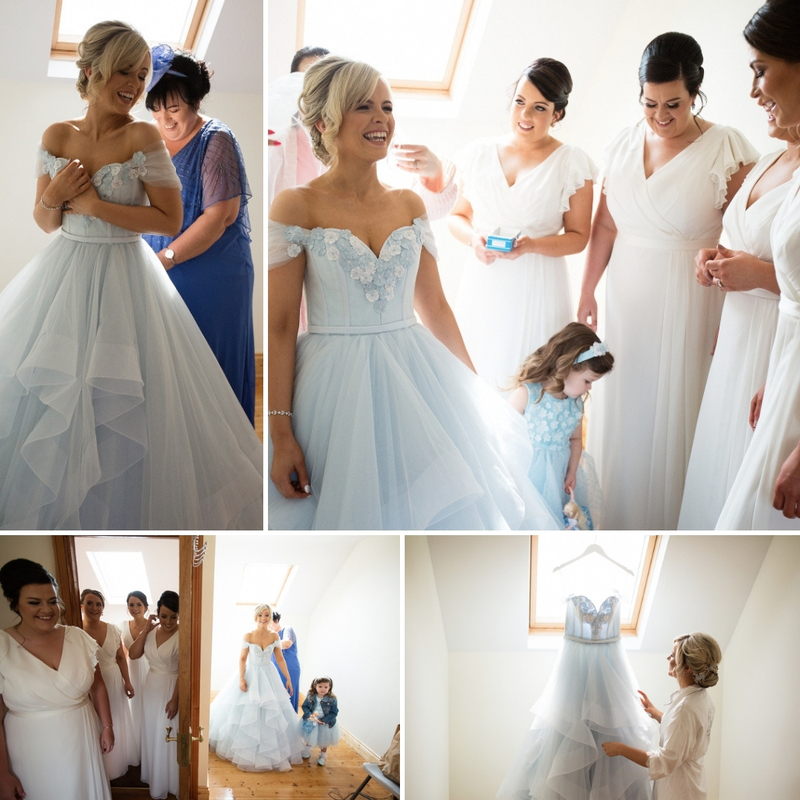 With Edel being in blue, she knew her bridesmaids would look fabulous in ivory. The dresses were from Dessy and featured a V-neck, waistband and detail on the sleeves. 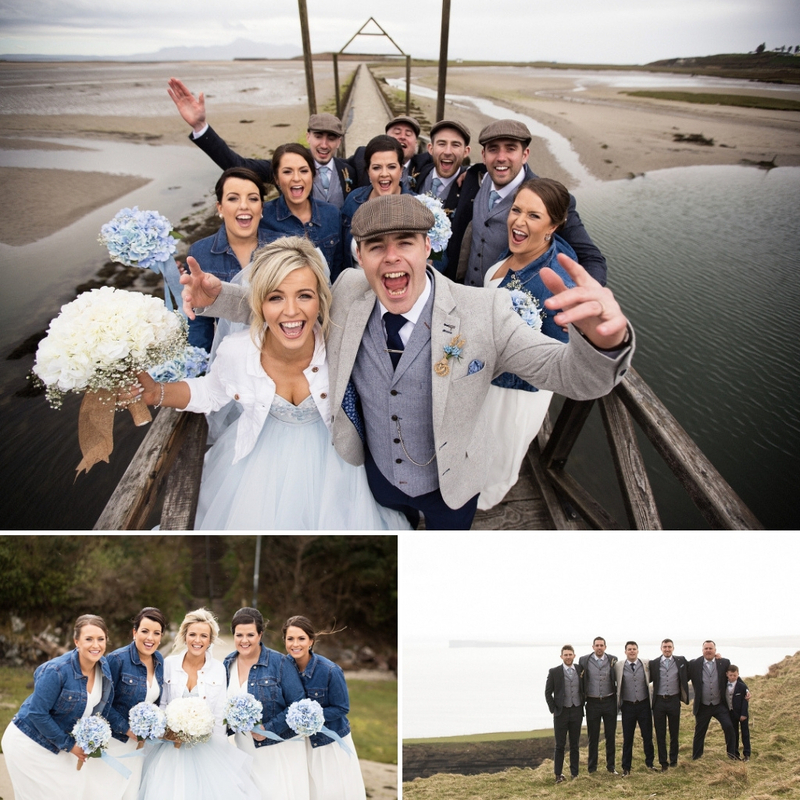 ‘Ciara was first and got a few strange looks when she walked down the aisle in her ivory dress!’ The bridesmaids were accessorised with denim jackets to complete the look. 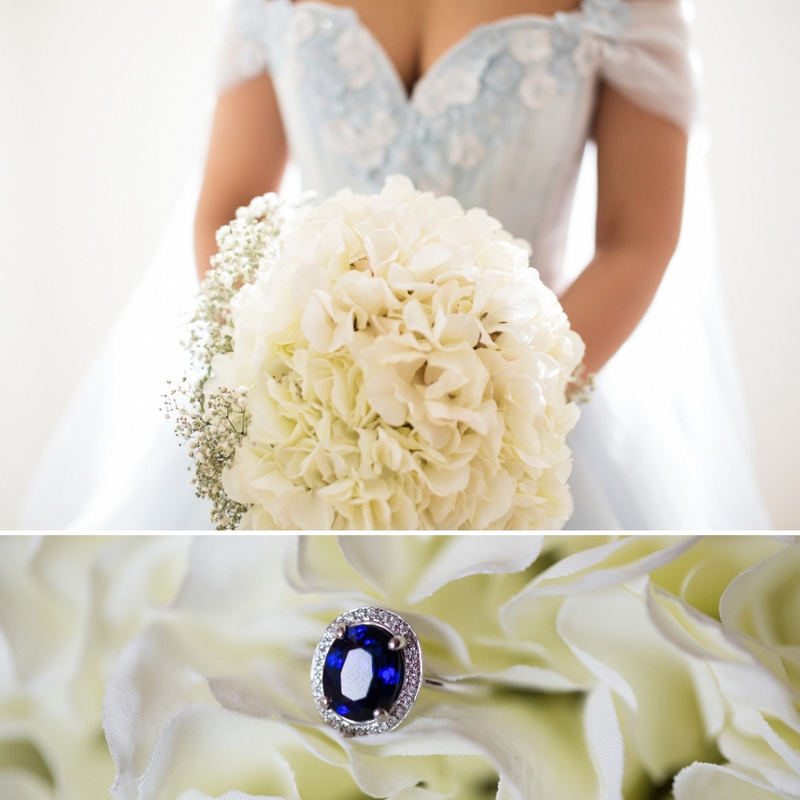 Edel wanted to keep the blue in her flowers too but unfortunately the blue hydrangea she wanted wasn’t in season for her April wedding. So her mother helped her put the bouquets together, opting for silk artificial padded out with greenery, wheat stalks and baby’s breath. Decorating became a family effort for the church and wedding reception with everyone giving a hand. A colleague from the National Museum of Country Life made harvest knots for the buttonholes; harvest knots were a sign of faithfulness or engagements long ago in Ireland, before engagement rings. 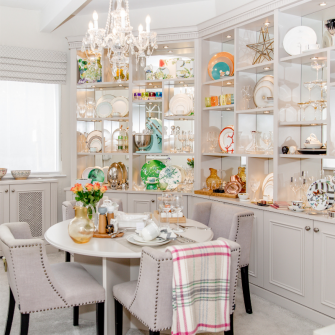 Edel wanted the decor to reflect their personalities and relationship but not in a gimmicky way. She achieved her clear vision with nods to agriculture with the use of wheat, burlap and milk jars. 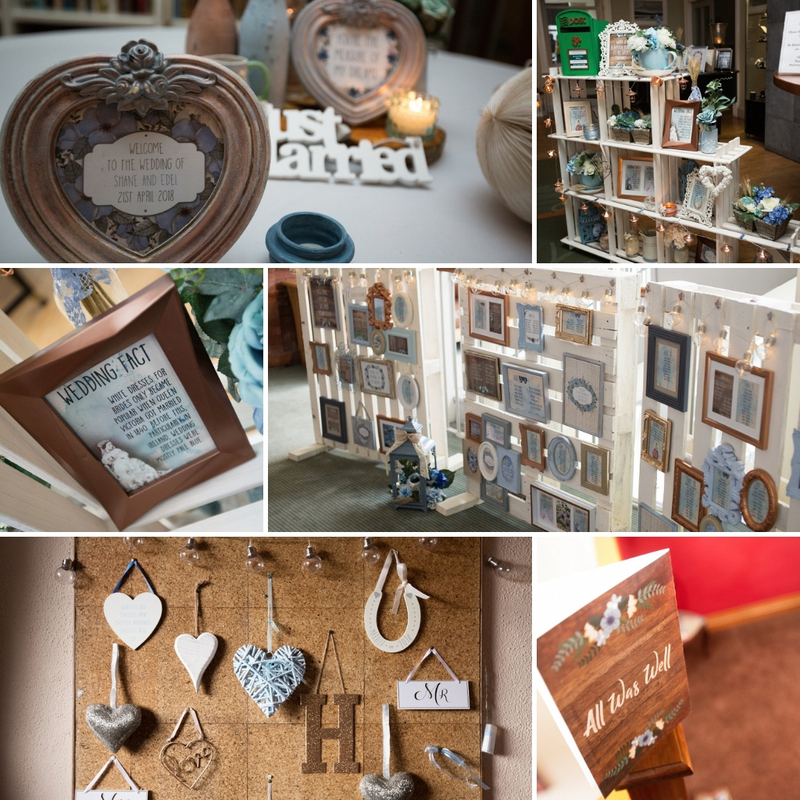 Also, they used log slices and jars on the tables and frames and pallets for the table plan. 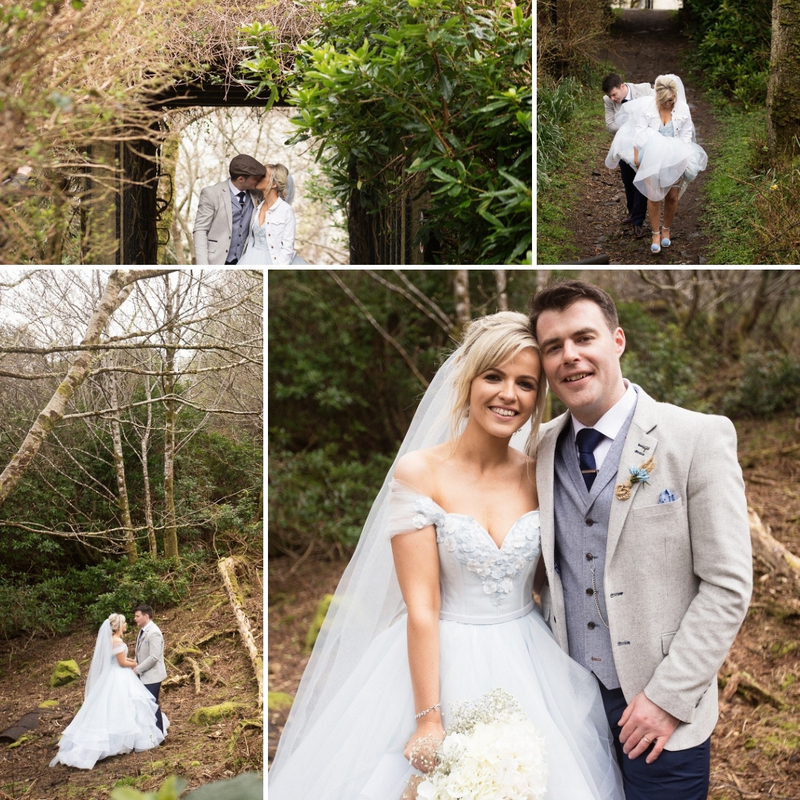 The function room in Mulranny has a wall of glass that looks out on to the Atlantic Ocean so Edel wanted to keep the coastal feeling to suit the pale blue wedding colour. The hints of copper and wood kept it from looking too cold. As a graphic designer in her spare time, Edel took this opportunity to design her own wedding invites, Mass booklets and other forms of stationery. 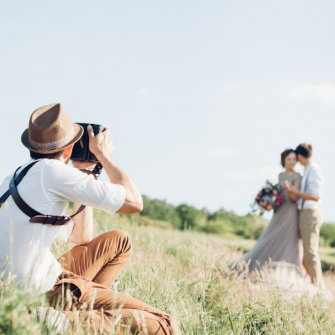 ‘I did up a series of Irish Wedding Facts and dotted them around the room.’ Their wedding invite held a cartoon of the pair with the backdrop of their home, Ceide Fields and Downpatrick Head. Shane warned Edel about including Harry Potter elements to the wedding but she did include ‘All Was Well’, which is the last line from the last book on the back of the Mass booklet. 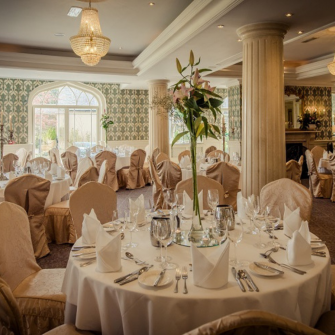 The couple went with a Cajun chicken salad or black pudding salad for the starter, a mushroom and truffle soup, salmon or lamb as a choice of mains, and then a medley of desserts . Later that night cones of chips, chicken tenders, and sandwiches were served with the wedding cake. Shane and Edel’s delicious cake was from Cakes by Hollie in Ballina. They had a chocolate, lemon, and red velvet layer under butter cream icing. Shane’s mother also baked a fruit cake to be served with it.